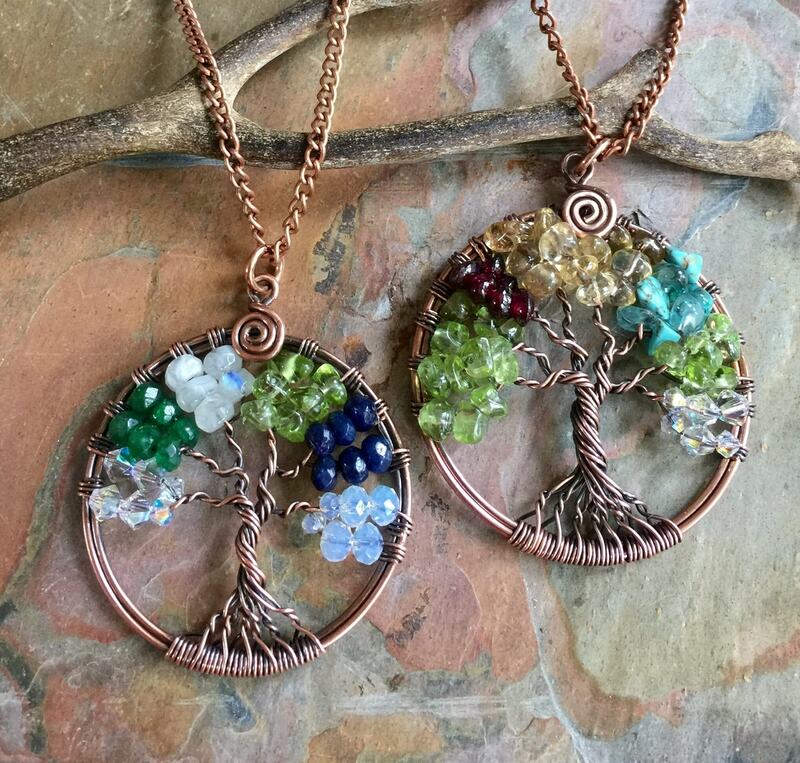 This family tree is made with family birthstones using Antiqued Copper wires for the outer circle, tree trunk & branches. 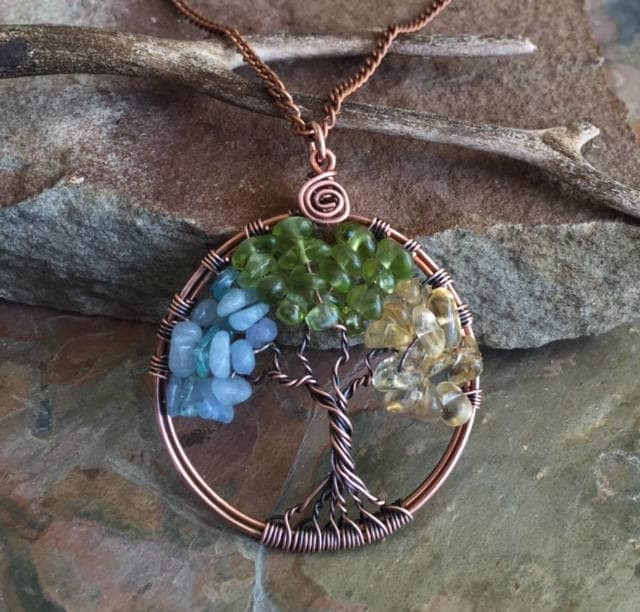 I can add your personalized birthstones. 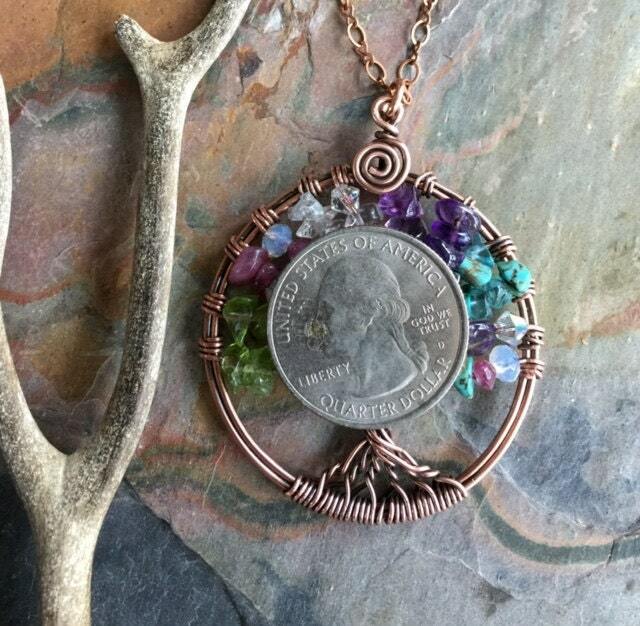 ~~The pendant measures slightly under 1.55 to 1.60 inch in diameter without the bail. 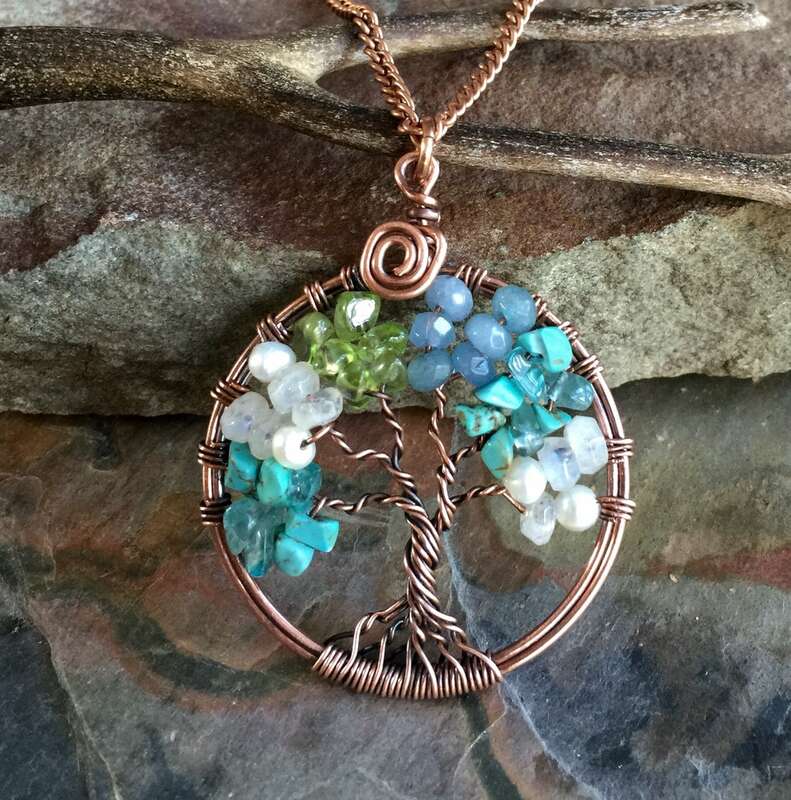 This beautiful pendant comes on a antiqued copper chain. So beautiful! 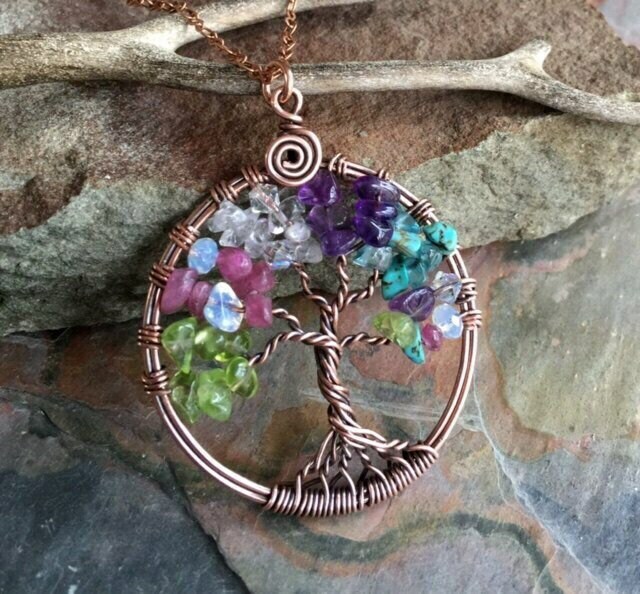 Awesome communication with seller! 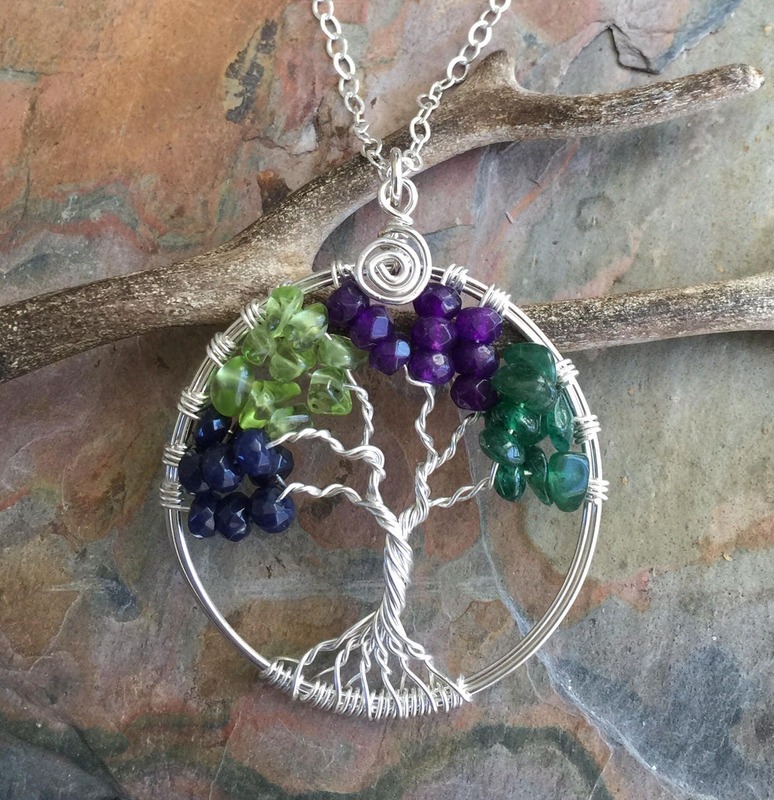 I ordered two personalized Family Tree of LIfe necklaces, then emailed to put a hold on the order while I researched more birthmonths of relatives. 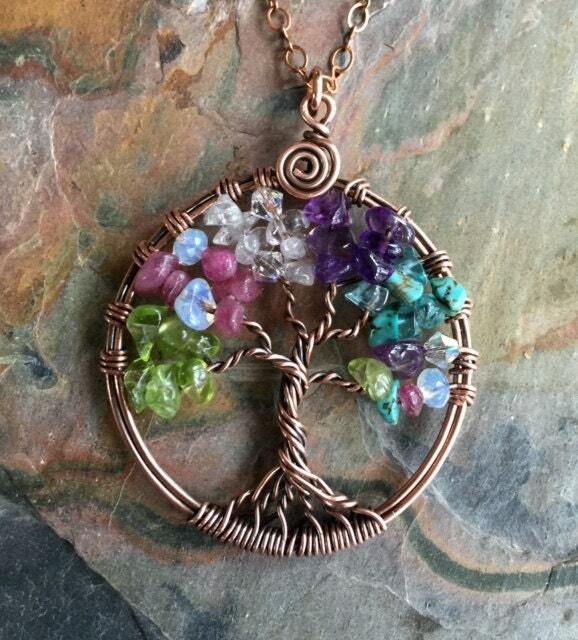 Sunny was so accommodating this and about adding more stones to the order, marking them as #1 and # 2, etc. Very prompt in responding whenever I emailed her. 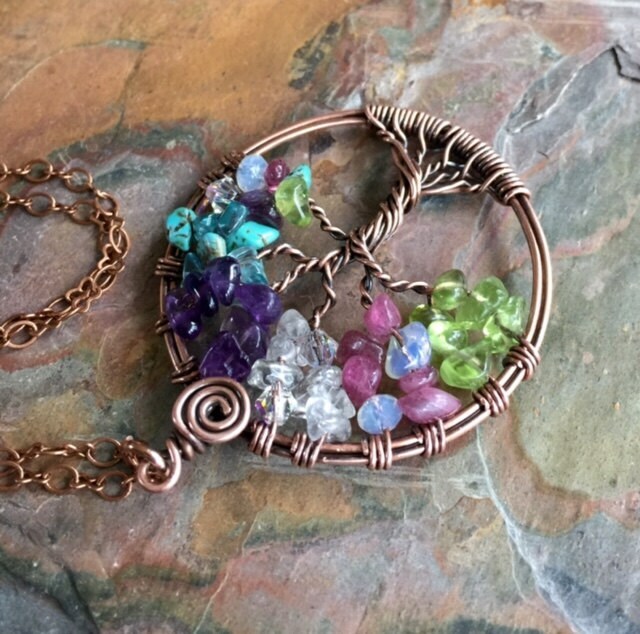 She was also very quick to make the necklaces and sending them to me. They are beautiful and I would certainly order from her again. Very good experience! 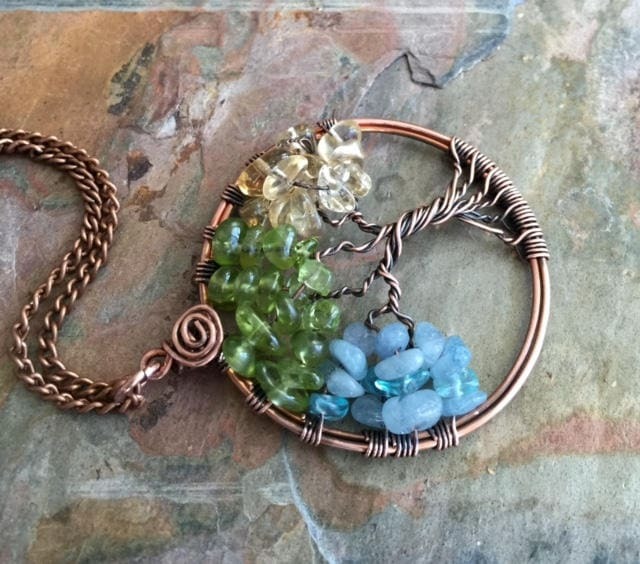 The item was beautiful and well made. It shipped promptly and came in a nice gift package setting. I have saved this site for future purchases.